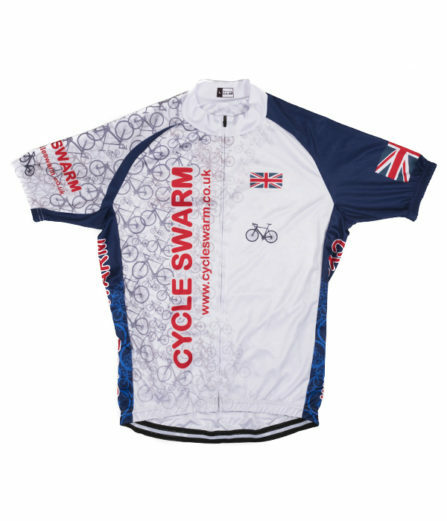 The Norwich Cycle Swarm is an annual mass participation cycling event that starts from Norwich City Football Club. In 2018 it’s on the 7th July. You can choose to enter one of 3 different routes and take on either 35, 70 or 100 miles. The routes head out of Norwich through Wroxham and split with the 70 and 100 mile routes heading up to the North Norfolk Coast Road. All routes pass some beautiful scenery and lovely Norfolk villages before returning to Carrow Road. 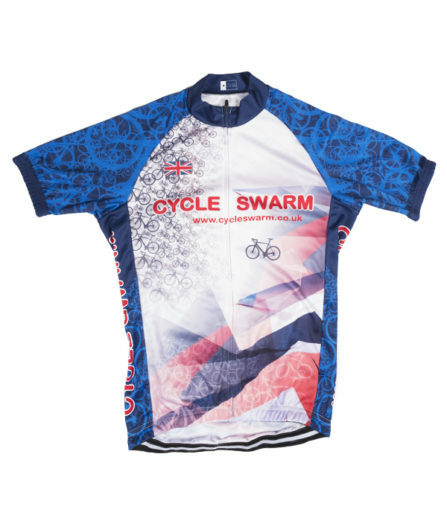 All riders receive a bespoke Cycle Swarm medal and certificate, free event photos and free fruit, scones, cakes, sweets and juice at the rest stops. Full Zip, 3 rear pockets. 100% Polyester. White, Black, Red and Blue.